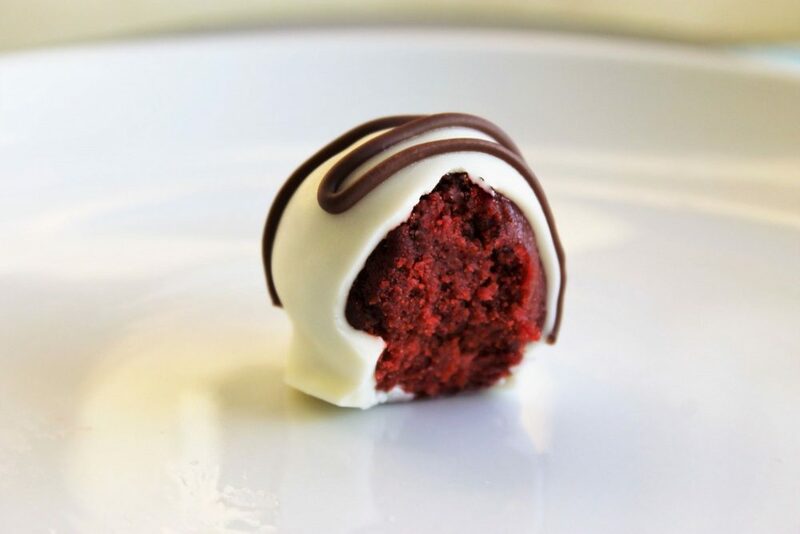 Need a Valentine’s Day treat that’s both delicious and adorable? 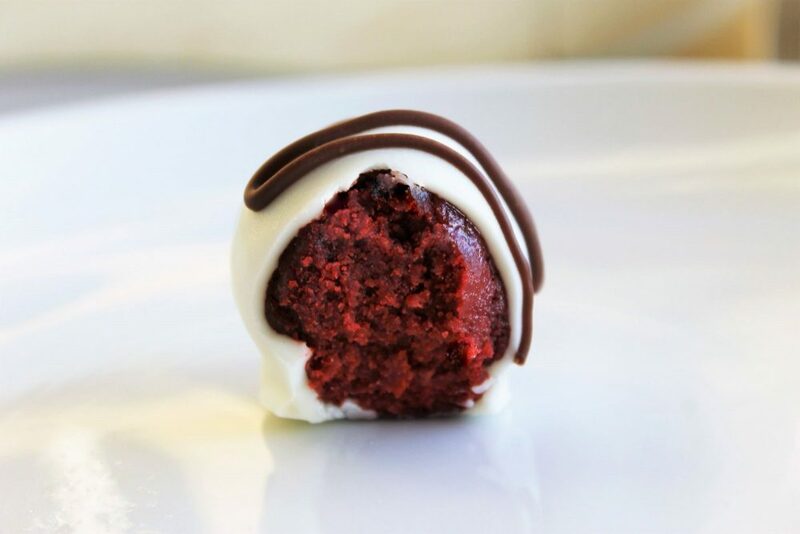 I’ve got just what you need with these Red Velvet Truffles! 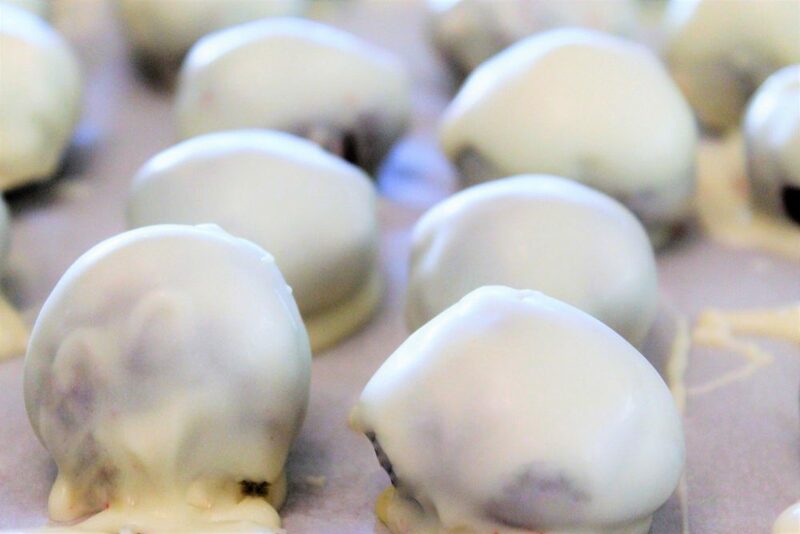 I have never in my life attempted any kind of truffle or cake ball making, so I was pleasantly surprised at how easy these were to make! Oh, and they’re SO good! 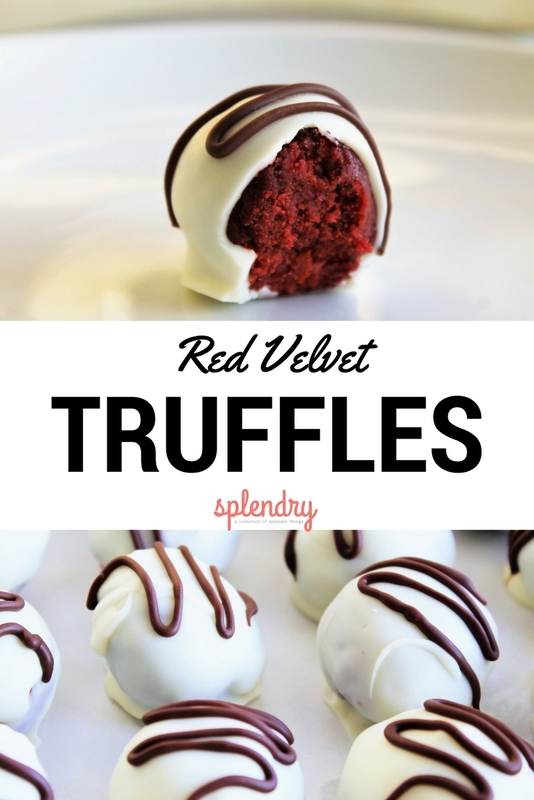 They’re the perfect easy dessert to take to a party, or to share for Valentine’s Day dessert. And they look like they took a lot more time to make than they actually do! Bonus points for impressing everyone! My foil got a little too close! 2. Take that beautiful cake and crumble it up in a bowl! 3. Take your softened block of cream cheese and drop it right in. 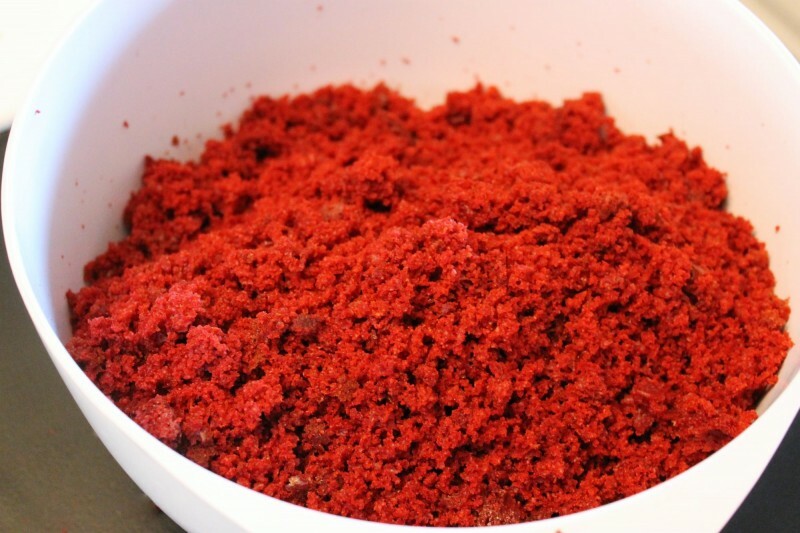 Start kneading it with your fingers to work it through all the cake. 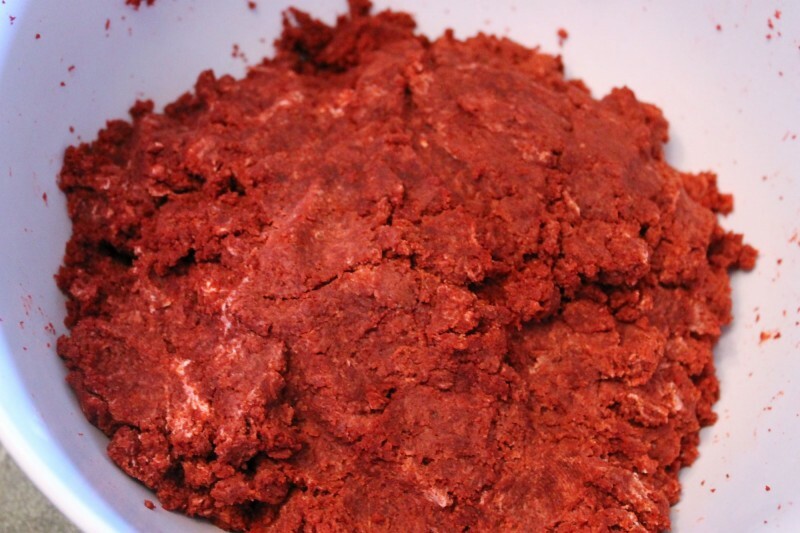 You’ll end up with a dough-like mixture. 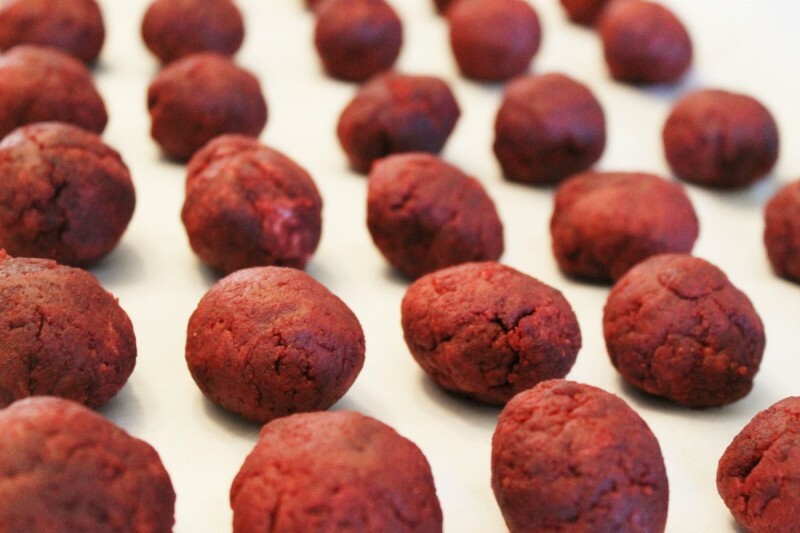 Place the truffle balls onto a parchment paper lined baking sheet and place in the refrigerator to cool. I left mine in for a couple of hours. If you were wanting to turn your truffles into cake pops you could pop in your sticks at this point! 5. 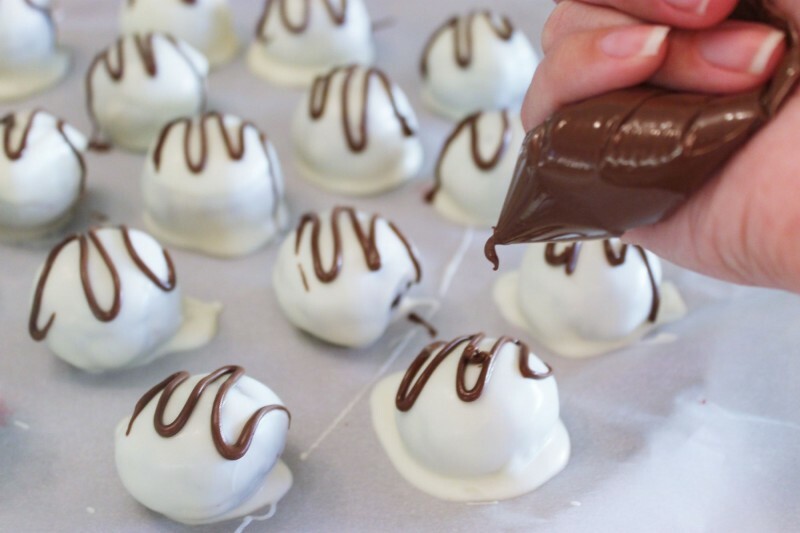 Once the truffle balls are chilled melt your white chocolate on either the stove or in the microwave. I used the microwave and did 30 second increments on high until it was melted. 6. 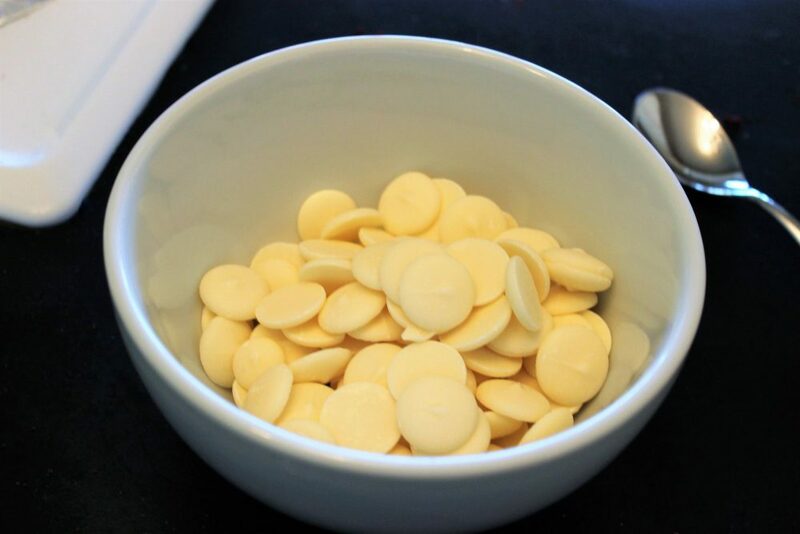 Place a truffle ball onto the flat part of a fork (don’t pierce it) and dip it into the white chocolate. 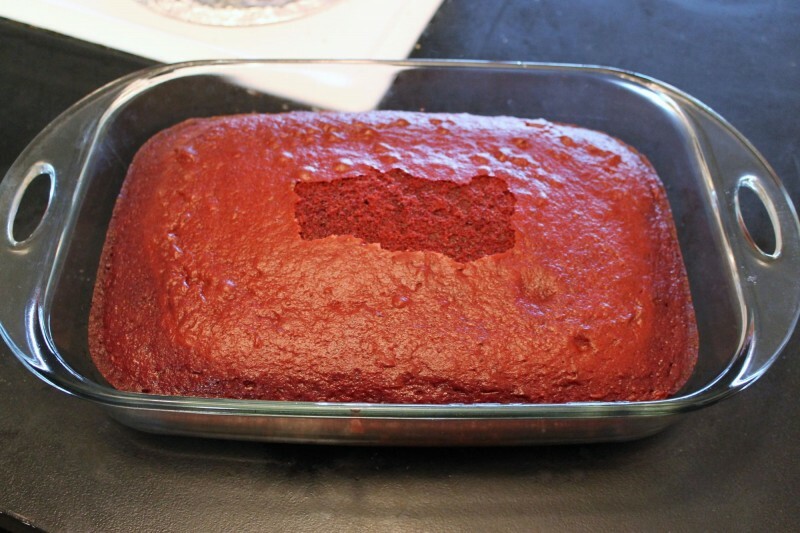 Let it drip over the bowl a little before placing it back on your baking sheet. 8. 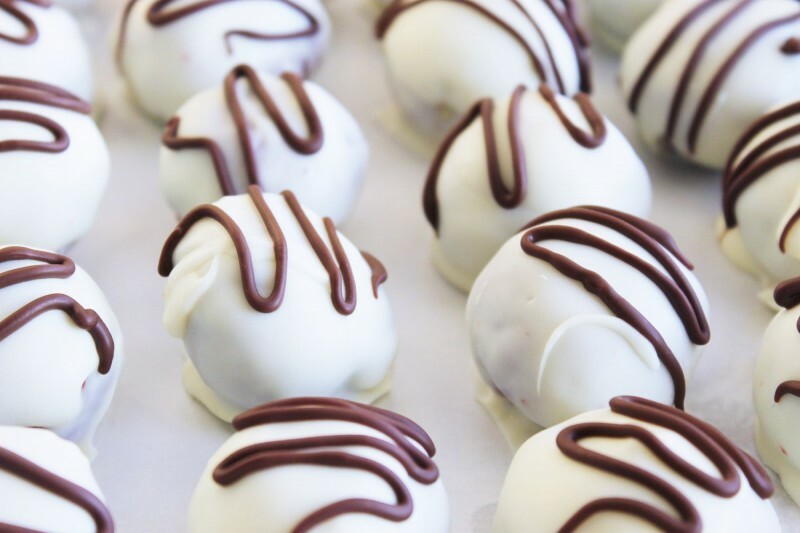 Place your truffles back into the fridge until you’re ready to serve! Not only were these pretty to look at, they taste amazing too! They’re not overly sweet, but the cream cheese adds such a great richness and the white chocolate is the perfect complement! 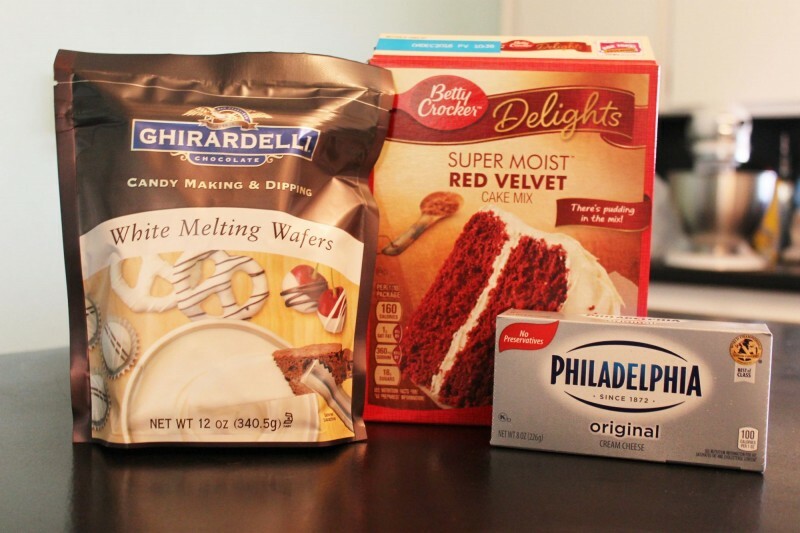 Want another easy dessert just perfect for Valentine’s Day? How about some Strawberry White Chocolate Chip Cookies or these Pink Party Cookies? Jamie loves a little black dress, chips and salsa, and is obsessed with subscription boxes. She tries to maintain an air of sophisticated city life while actually living next to a wheat field. Or is it alfalfa? Corn? She doesn’t know. 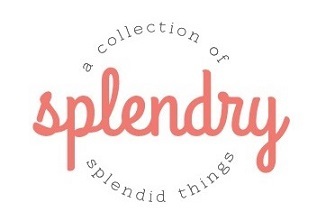 You can find her blogging about style and shopping at JK Style. She lives in rural Oklahoma with her husband and baby boy. Throwing a Couple’s Shower? Try These Recipes!